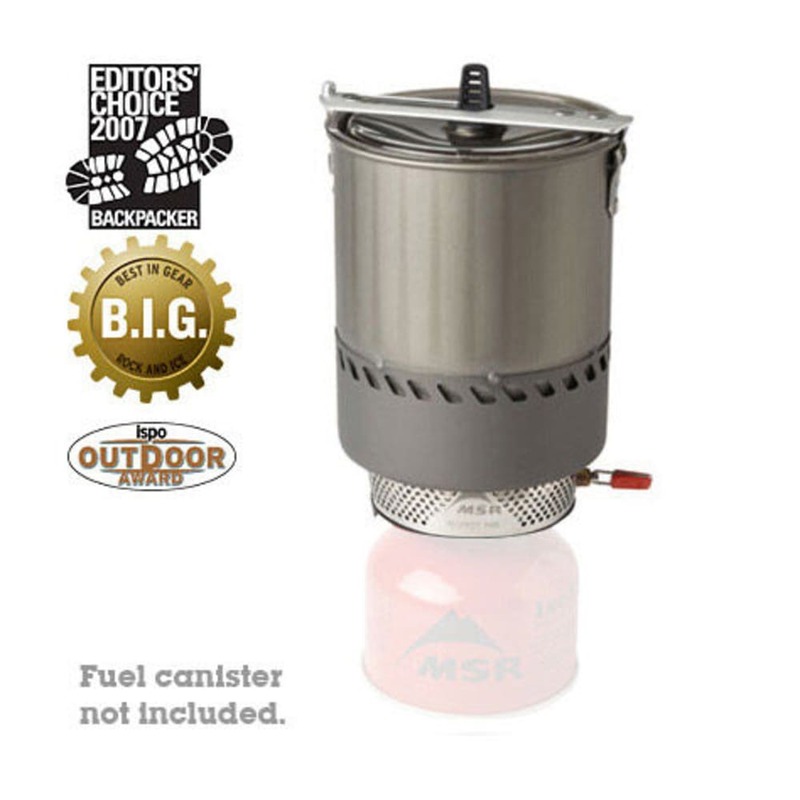 The new MSR Reactor may be the fastest, most efficient, all-condition stove system ever made. Boils 1 L of water in just 3 min. Important note: Due to Department of Transportation restrictions, we are not allowed to ship pressurized fuel cannisters. Fuel may still be purchased at our retail locations. We apologize for the inconvenience. Burn Time: 1 hr. 20 min. / 8 oz. Weight: 1 lb. 5.6 oz.